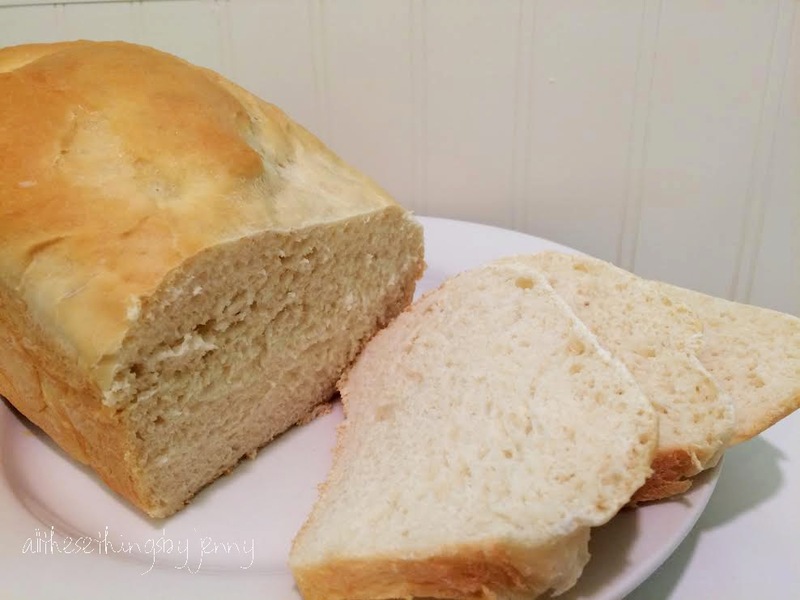 On a cold day, what is better than a bowl of soup and some nice, warm, home made bread? Growing up this was always such a great comfort food for me and it still is. Any time someone in my family is sick or having a bad day. Or even when it's just a cold fall or winter day, This is one of my go-to dinners. 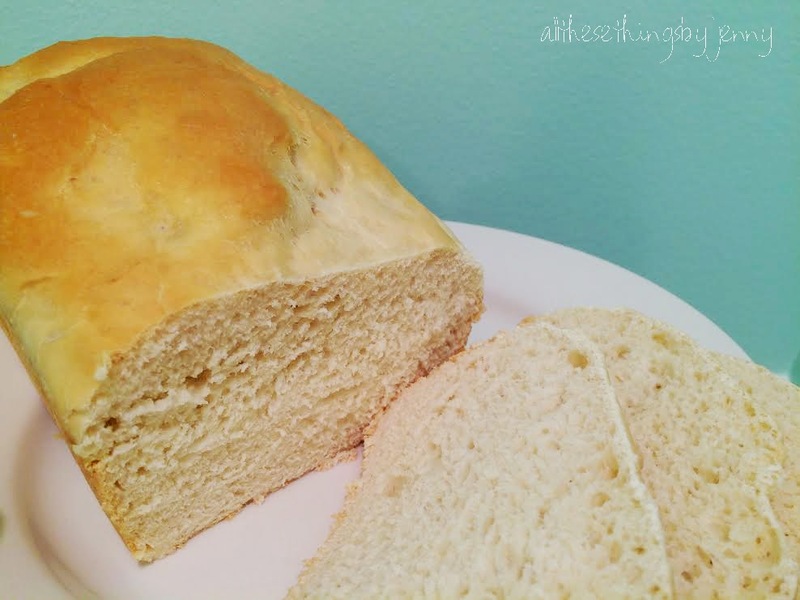 This is my favorite white bread recipe. Its soft, fluffy and taste so yummy! mix this in a cup and set it aside to rise. In a mixing bowl, put the salt, sugar, and shortening and mix together. Pour hot milk over it and let it cool. 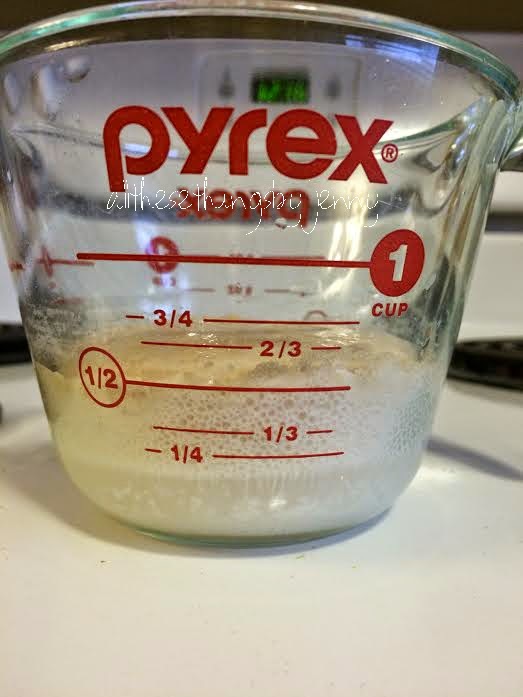 When the milk is cool, add the yeast. Then add the flour slowly. 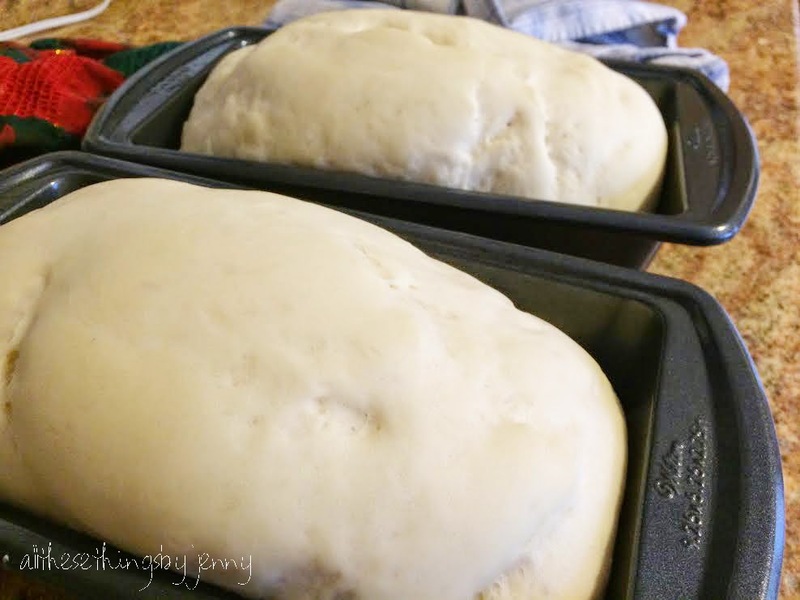 (I usually put 6 1/2 cups in but it depends on the day and the texture of the dough. You don't want it sticky but you don't want it firm either. 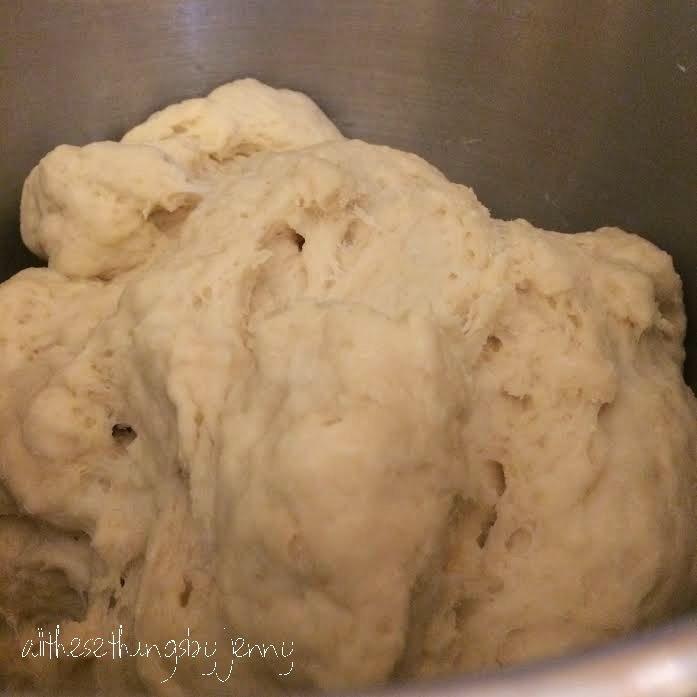 Switch to your kneading paddle and mix for a minute. 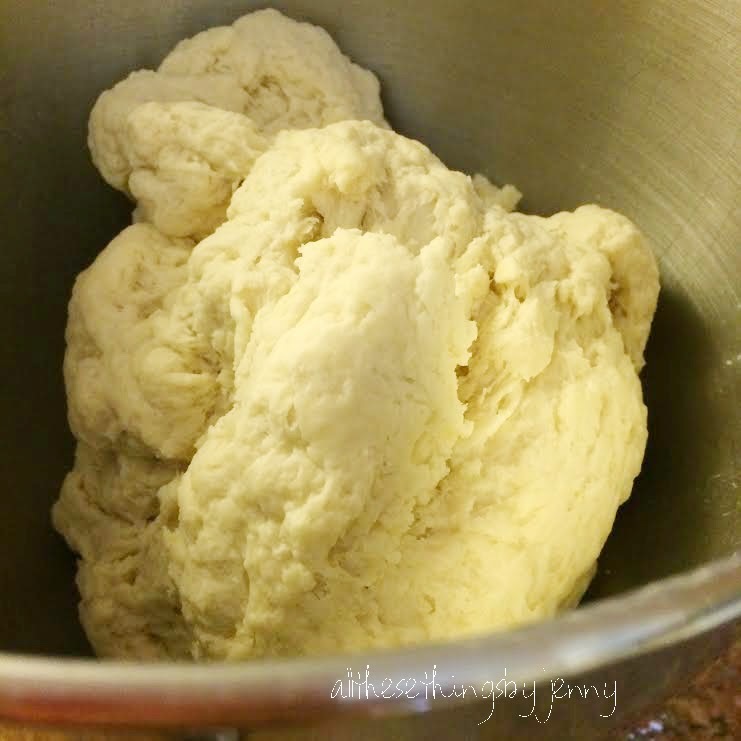 Let the dough rise for two hours, then mix it down for five minutes. 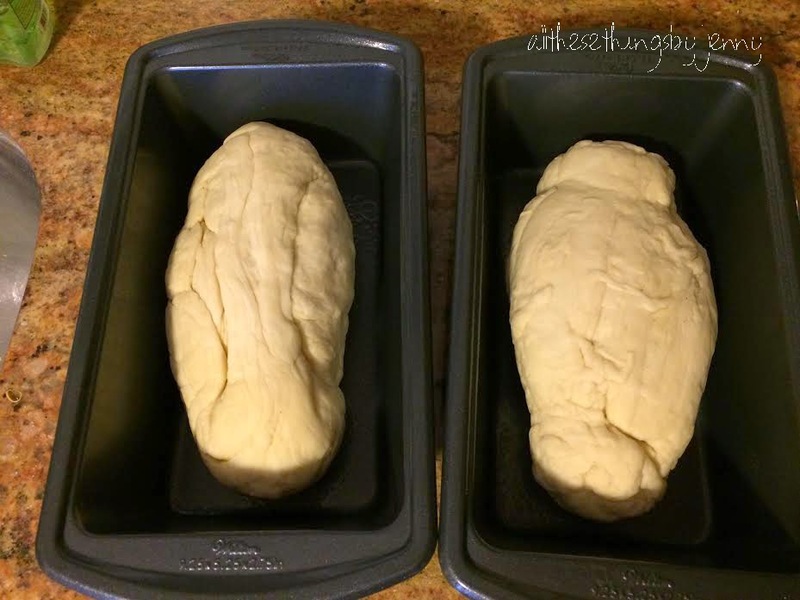 Let it rise again for an hour, then mix it down and divide it into two loafs. Let it rise in the pans for 1-2 hours. Bake at 350 degrees for 30 minutes or until golden brown on top. Rub butter on top. Let it cool before you cut it.